For our second post, we will be reviewing #5 on the list – Snap Circuits Motion. I had heard vaguely of Snap Circuits before. I don’t know why people weren’t screaming in my face, “THIS IS THE COOLEST TOY!” I may have payed a little more attention. So, here I am, on the internet, screaming in your face, “THIS IS THE COOLEST TOY!” Pay attention! Snap Circuits Motion is basically a set of parts 50 or so parts to build over 165 projects. 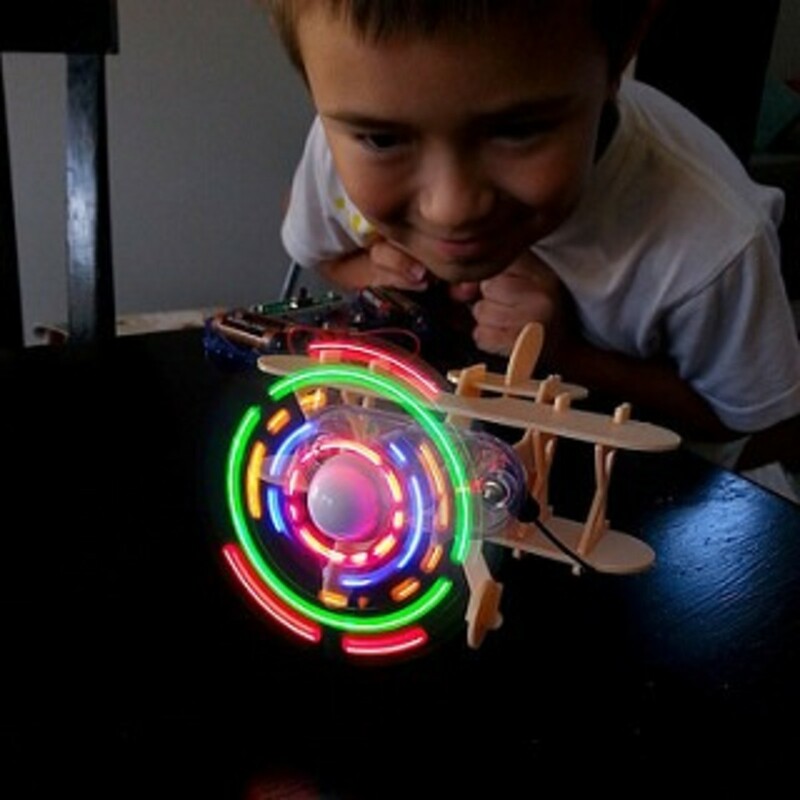 So, your child will build and create different projects ranging from motion-detector alarms to a walking bug to a spinning, colorful propeller. Really, there are too many projects to list. My 8-year old son primarily played with the Snap Circuits Motion for the purpose of this review but my 4-year old twin girls were just as intrigued. This will be a well-loved toy for all of my kids. 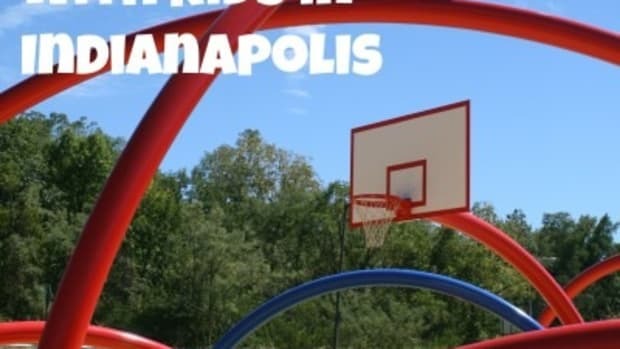 There are so many different projects, this is something that does not get boring for your child. By the time they are done trying all these projects, they’ll want to do them again. It’s always something new but even still, my son had favorites that he wanted to do again and again. Instructions are easy to follow. With a few exceptions at the beginning as my son first started, he didn’t need help building these projects. 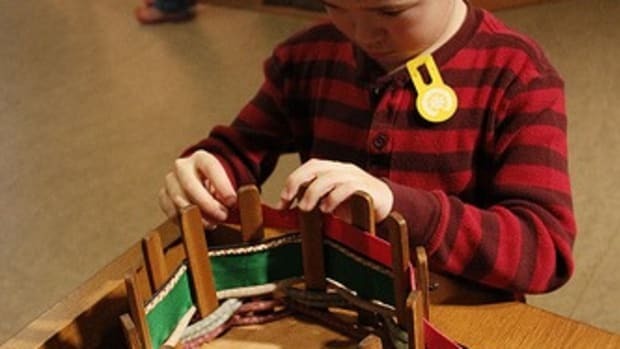 As soon as they get used to how these projects are assembled, your child shouldn’t have any trouble doing this without your help. I did like assembling projects with my son so I had to ask him for turns because as soon as he had the hang of it, he wanted to do it ALL BY HIMSELF (Note: he did not actually yell at me, but he did give me that, “I can do it myself” attitude). 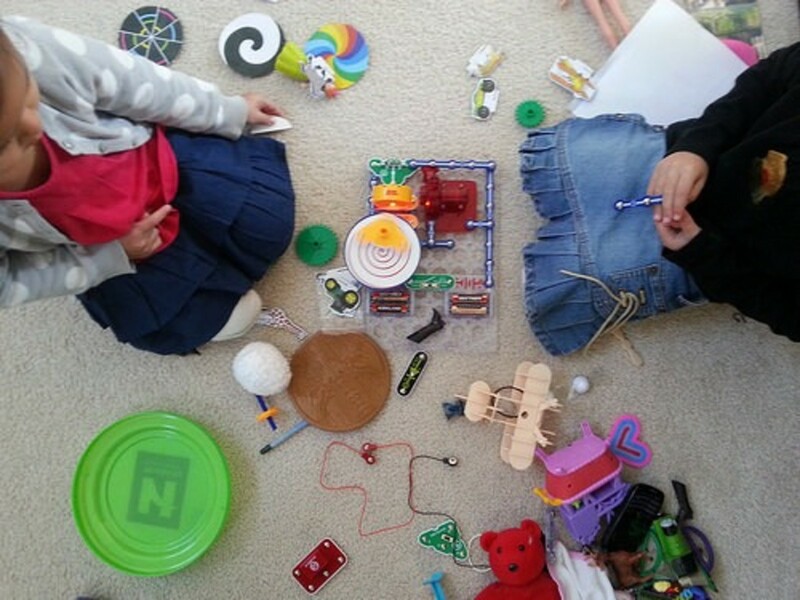 Snap Circuits Motion are built to explore physics, motion, electric circuits and engineering. I love that this building toy is secretly teaching my child in a multitude of ways while he’s having a good time. And it gave him such a great sense of accomplishment when he finished projects. It built up his confidence at the same time. As I mentioned earlier, my son was primarily playing with this toy but I would strongly recommend this toy to either boys or girls. And if you have just girls, I would 100% recommend getting this for her. 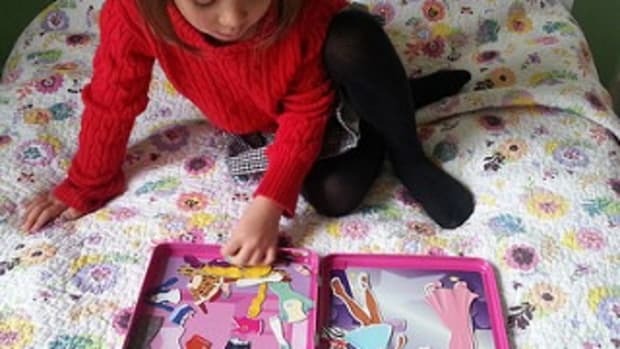 There’s been a little push to get different types of toys into girls’ hands besides the typical doll and dress-ups and this is such perfect toy that your girls will really get into. Already, my girls are digging into it and loving it even though they’re a bit young. I caught them taking creative license with one of their brother’s projects. Once he’s built something, they love to switch it on and play with it. 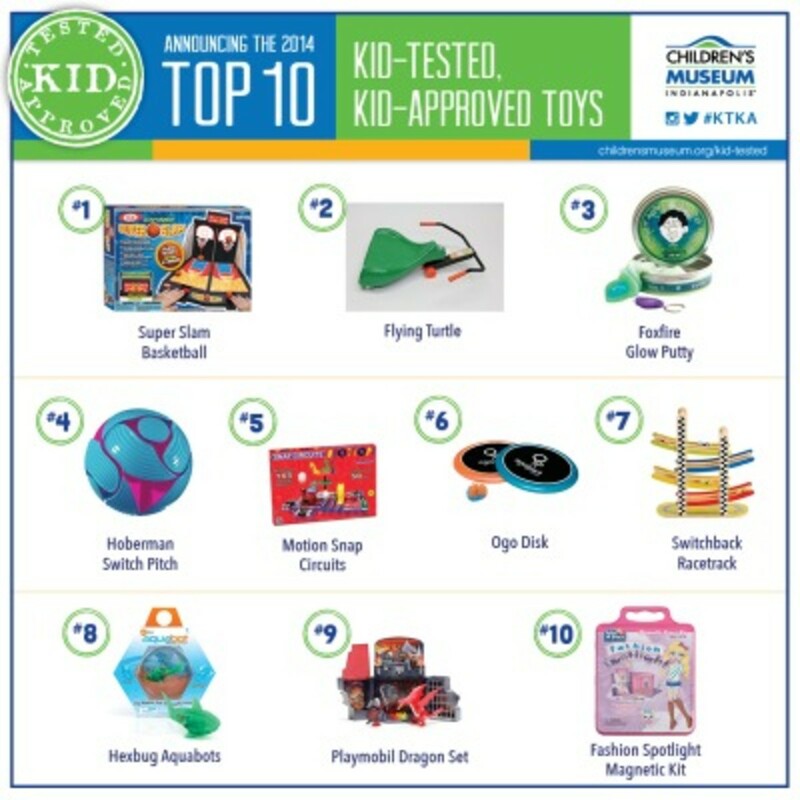 To refresh your memory, here is the Children’s Museum Store 2014 Top Ten Kid-Tested Kid Approved Toy List. 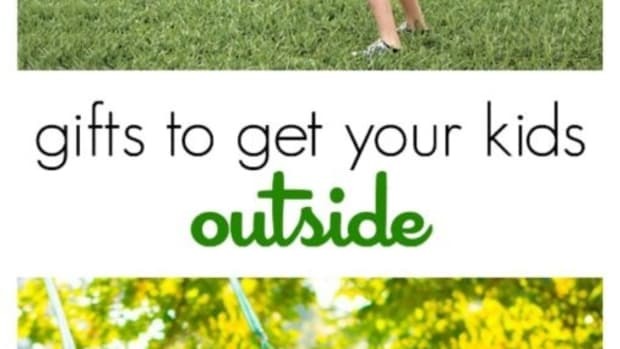 This list is determined by kids themselves. 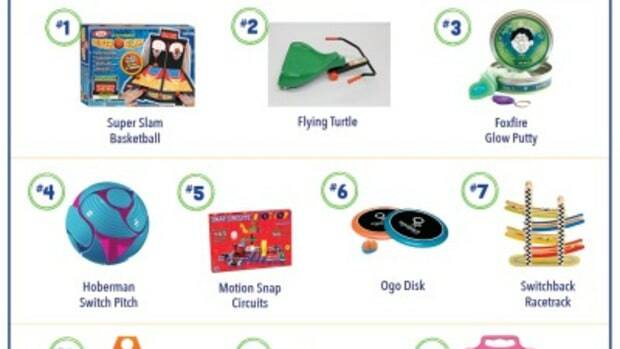 Pro tip – tag team with another adult and do all your shopping in the Children’s Museum Store while your kids are distracted in the museum. I’ve done this before and hidden the toys in the car all before my kids knew I went missing. 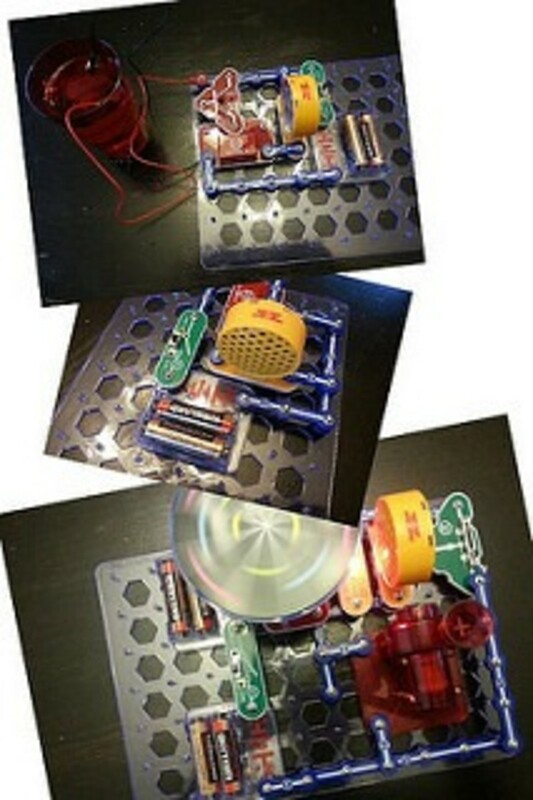 We were given a set of Snap Circuits Motion by the Children’s Museum Store to conduct this review. All opinions are my own. 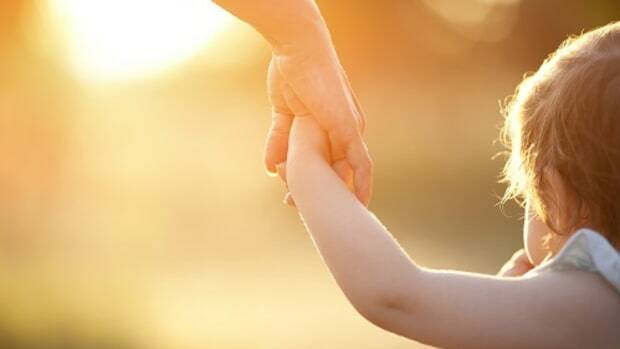 I’m nearly 40 and I have three kids between the ages of 5-9. 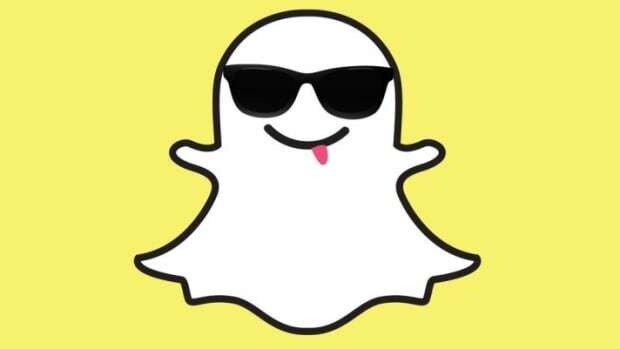 And I love Snapchat.